A local restaurant group has tightened its grip on its two-block slice of downtown. 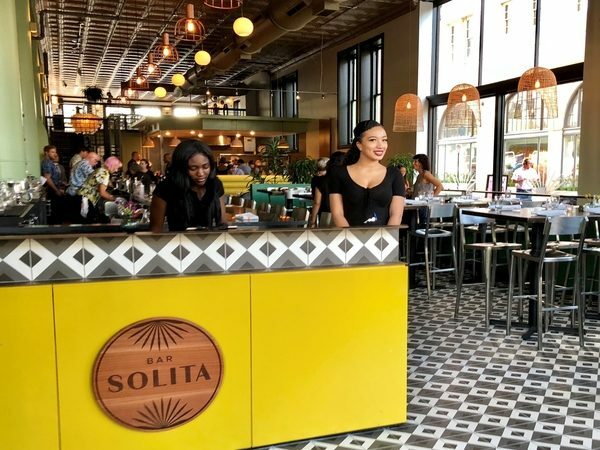 RVA Hospitality Group last week opened Bar Solita, a new Mediterranean-inspired restaurant in the former Graffiato location at 123 W. Broad St.
It’s the group’s fifth restaurant in the region and its third along Broad Street between Foushee and Jefferson streets. Run by Frances Santarella and Elizabeth Kincaid, the group also owns Tarrant’s Cafe at 1 W. Broad St., Max’s on Broad across the street, Tarrant’s West in the West End and Little Saint in the Devil’s Triangle. 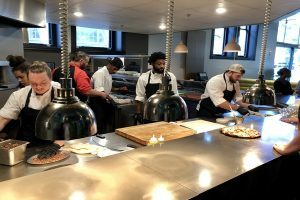 The group signed a 10-year lease on the Graffiato space this summer, shortly after celebrity chef Mike Isabella abandoned the location after about four years in business and in the wake of a widely publicized sexual harassment claim. 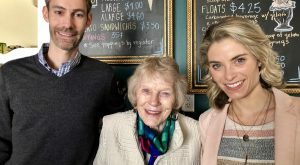 While Graffiato’s closure left a bad taste with area diners and former employees, Santarella and Kincaid saw an opportunity for growth. That meant gutting the interior and incorporating more color into the space. “What was here was very rigid, and when we started redesigning this location, we wanted it to be open and more inviting,” Santarella said. 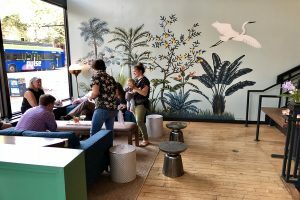 With the help of Richmond-based design firm Campfire & Co., they began a reconfiguration of the 6,200-square-foot space in mid-July with new flooring and new seating. 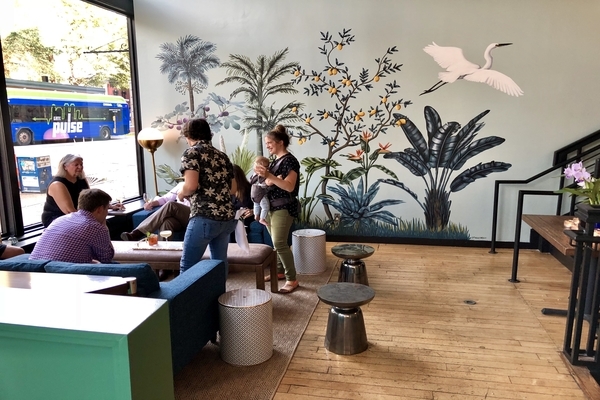 Naomi McCavitt of Richmond-based Thicket Design created a mural depicting an outdoors scene with fig and lemon trees. 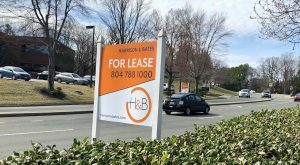 While the company would not disclose an investment amount, Kincaid said it was significant since the group had to overhaul the restaurant’s HVAC system and replace some kitchen equipment. “It was a significant project, but it turned out great,” she said. Bar Solita seats 200 people, and will offer private and semiprivate dining for groups of 12 to 100 people. 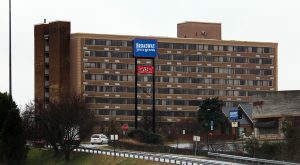 The restaurant employs about 65 workers, bringing the group’s overall employment base to about 400. 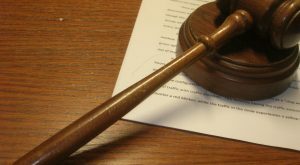 Kincaid said several of Bar Solita’s key management positions were filled from within. Danny Kelly has been tapped as Bar Solita’s executive chef after several years at Tarrant’s West. Sean Rapoza is the restaurant’s certified sommelier and Chris Gerardi moves over from Tarrant’s as Bar Solita’s general manager. Bar Solita will offer a variety of Mediterranean-inspired pizza, sandwich, soup and pastas, said Michael McGhee, who oversees menu development at all of the group’s establishments. Dishes include capocolla and arugula pizza with olive oil and crumbled feta; taco al carbon made with grilled beef, red onions, cilantro and housemade hot sauce; and wood-fired roasted almonds and its papa brava, made with fried salt mine potatoes drizzled with roasted spicy tomato sauce. Bar Solita also will serve a variety of beer, wine and mixed drinks with Mediterranean connections, including specialty cocktail “Holiday in Catania,” which is crafted with vodka, pomegranate liqueur, honey and lemon, said bar manager Parker Girard. The restaurant is open from 11 a.m. to 10 p.m. daily for dine-in and carry-out.